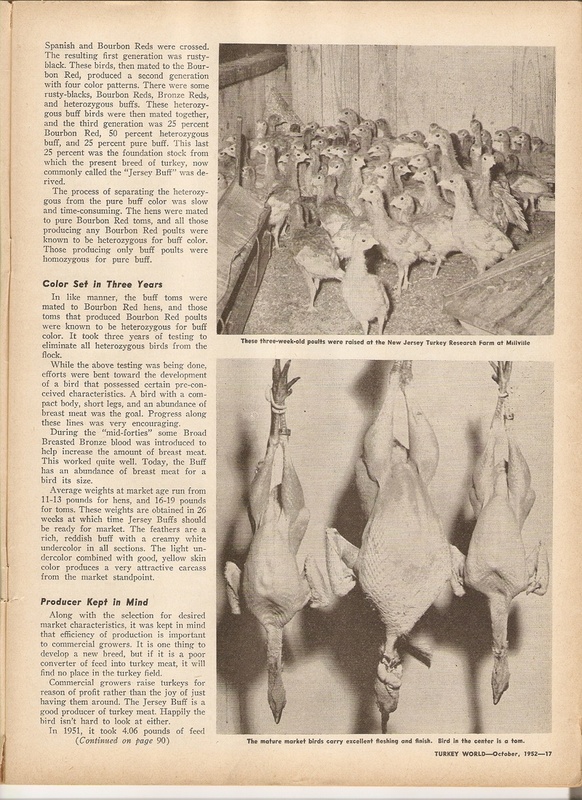 In the 1940’s the New Jersey Agricultural Experiment Station at Millville initiated a program to develop a small to medium size market turkey. 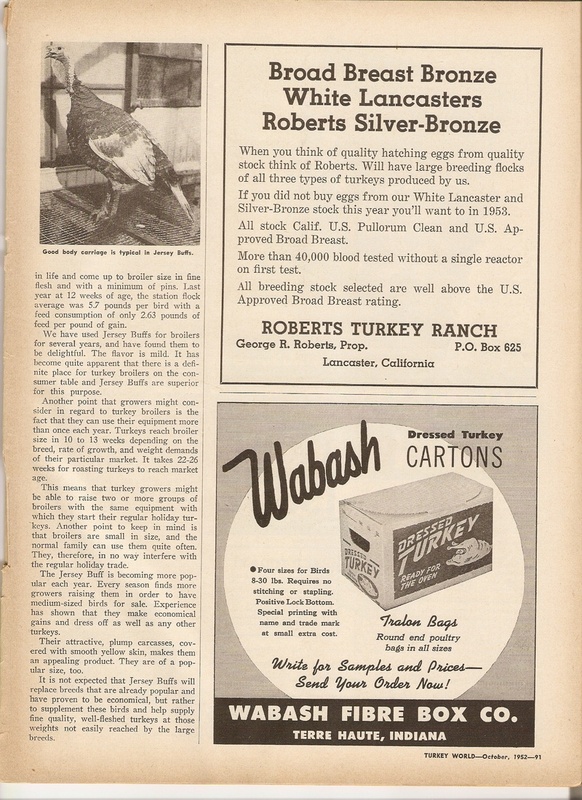 The new buff colored birds, called “Jersey Buffs”, were developed through pedigree breeding and selection from crosses of Black, Bourbon Red and Broad Breasted Bronze varieties. The Genotype for a Jersey Buff is (BBrr) Black based and homozygous for recessive red. The Jersey Buff has rich reddish-buff colored body feathers. Tail feathers are white with a light buff color which can extend halfway down the tail. 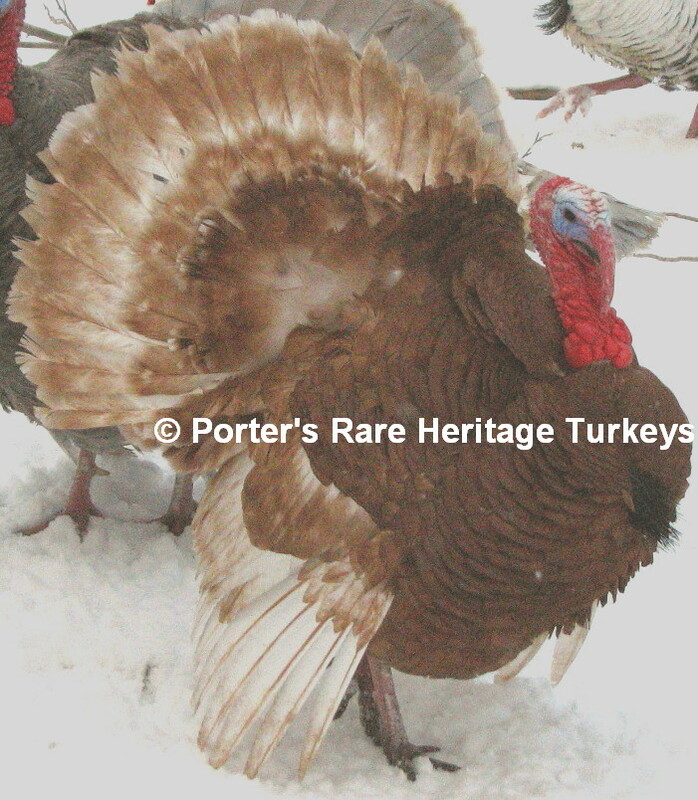 Primary and secondary wing feathers are white with buff shading. For both toms and hens, the shanks and toes are bluish-white or flesh colored, the beard is black and the eyes are hazel. 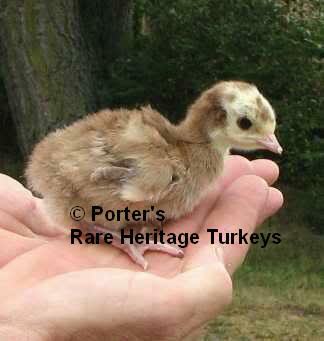 Poults are a solid tan color with white face at hatch. They have a clean carcass when dressed. The Jersey Buff has not been recently selected for production attributes, including weight gain and many birds will be smaller than stated. The hens have been known to be good egg producers. 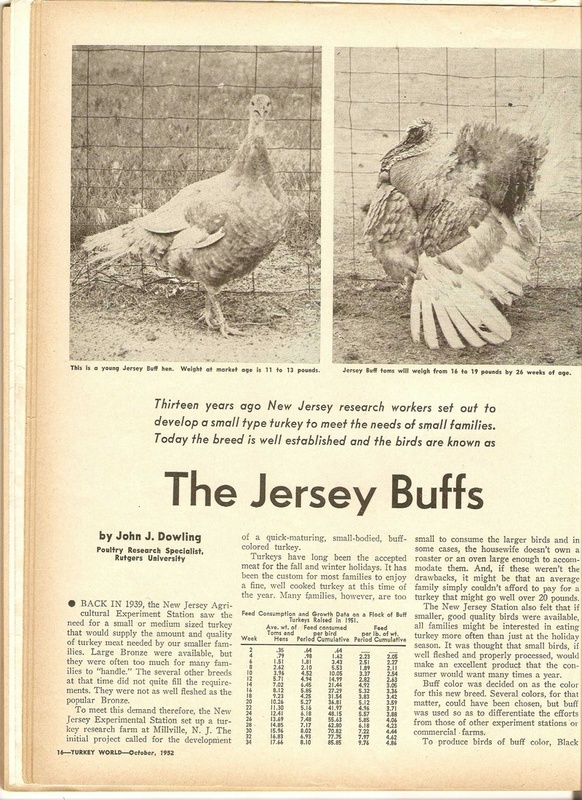 Careful selection for good health, ability to mate naturally, and production attributes will help ensure the survival of Jersey Buff turkeys. Approx. Weights: Old tom 28 lbs. and old hen 14 lbs. (Below) Feathers from a Jersey buff. 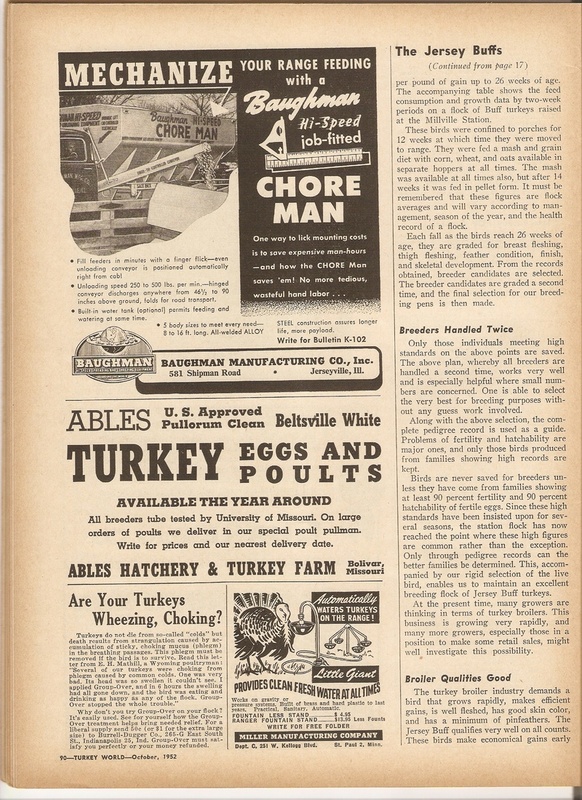 Here's an old article on the Origin of the Jersey Buff out of a 1952 issue of Turkey World Magazine. and then click on view image, then you can just click to enlarge it.